It hasn't been all that long since Starbucks announced their fall 2017 drink menu but they're already bolstering it with two new drinks: the Maple Pecan Latte and Dark Mocha Frappuccino. 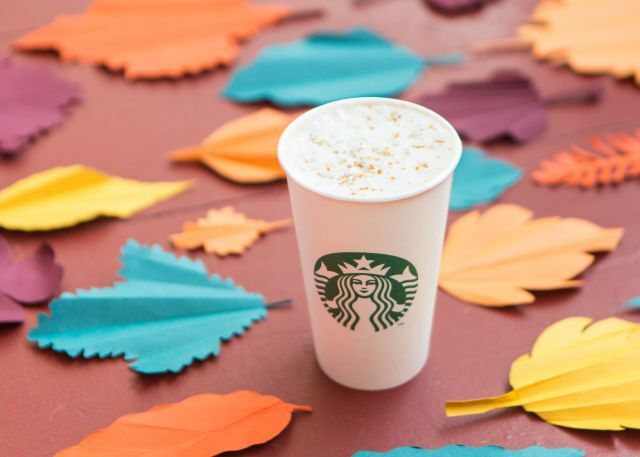 The Maple Pecan Latte features espresso and steamed milk mixed with maple pecan sauce and topped with an "autumn sugar topping." The Dark Mocha Frappuccino takes coffee, milk and ice, blends it with extra dark cocoa, and tops it off with whipped cream. If it sounds a little familiar, it's basically the Midnight Mint Mocha, Frappuccino introduced earlier this year, minus the mint and middle whipped cream layer. Both drinks can be found at participating US stores for a limited time, while supplies last. The arrival of the new seasonal fall beverages also marks the debut of limited-time, autumn-themed cups that come in plum, teal, and orange.